Development Ready has provided agent and vendors with a fresh new approach to the web-listing platforms when marketing properties. For example we feel the new electronic brochure has created an alternate source of attracting further enquiry. We also recently launched a campaign that had once been marketed by another agency which failed. We then re-launched the campaign through Development Ready and received 40 enquiries and it sold unconditionally. Finally the team at Development ready have been achieving above and beyond with us at Knight Frank in catering marketing estimates for our vendors. Development Ready is a sensational platform that delivers exceptional enquiry numbers and most importantly all their enquiries are always highly qualified. The DR team understand the market and industry better than any other internet service provider and their level of service to us and in turn our clients, is second to none. Development Ready’s strategically tailored website provides our development site sales team with direct penetration to the most active developers across the country and internationally. The team at Development Ready are continually providing us with innovative ideas to unearth new development capital and their willingness to adapt to any request is appreciated – our clients have certainly benefitted from their service offering in 2017. Development Ready has been an instrumental source of qualified developer leads throughout our campaigns in 2017. 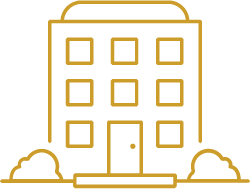 The platform connects us to an additional level of enquiry that ensures that our vendors’ properties receive the greatest possible level of exposure. I’ve been using Development Ready since its conception and have always found that the quality of the leads generated are very strong. The website is clean and user friendly, which assists with connecting us with more active buyers in the market place, which allows us to maximise prices for our vendors. We have had a great response from Development Ready in the first week. Even better in quality of leads and almost in numbers than realestate.com.au and realcommercial.com.au which is huge! 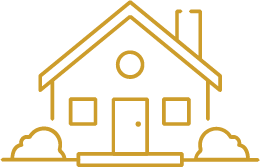 Savills was one of the first major firms to utilise the services of Development Ready and we have been consistently pleased with the level of enquiry and quality of leads generated from the site. Development Ready has proven to be a highly successful platform for our business. It should also be stated that we can directly link your services to a number of successful sale results. The most recent result was the sale of a four unit site in Heatherton. Development Ready is a wonderful and highly valuable marketing tool that should be used by all vendors when electing to sell their development site. We have no hesitation is recommending your business to potential clients. Development Ready has provided significant levels of enquiry to our campaigns and consistently generates well qualified leads. We love both the broad reach of the portal and the topical website content on offer. Great work team! Developmentready.com.au has increase the amount of quality enquires we have received and have allowed us to generate more business from this. We will not hesitate to use the portal in the future. Your site is fantastic and I am getting a lot of enquiries - thank you. Myself and Evan worked on a listing together just before Christmas at 9 Steel St, Caulfield South and we received almost as many enquiries from it than real estate.com (and many more than Domain). We as an office will be using this site in the future for like minded properties and I believe the whole brand can benefit. Development Ready was a great marketing tool for our recent development site campaign in Prahran. 85% of the enquires were generated directly from Development Ready compared to the traditional portals. We had a great response from the market and should hopefully close out a transaction soon - look forward to working with you on the next campaign. Your website worked a treat, we had a lot of enquiries come our way and will definitely use it again. Your website has been a breath of fresh air and we have seen a huge increase in enquiries over the past few campaigns. Great result and keep it coming. This was the first time we used your website and we were impressed with the response we received (more so the quality of the enquires). The buyer was sourced from your site in the first instance and we’ll recommend our other offices to use your firm. “Development Ready has been a helpful vehicle in our pursuit of new enquiry and that has contributed to the exposure of our properties for our clients benefit." “We have witnessed a significant increase over the past 12 months of not only traffic through the site, but a genuine increase in quality leads looking for permit approved opportunities in Melbourne. The website is clean and user friendly, which assists with connection CBRE with more active buyers in the market place, which allows us to maximise prices for our vendors." I found development ready to be a good source for quality enquiry - the purchaser actually came through from the site. I would use it again in the future and would recommend to my colleagues. We will use Development Ready for all future sites, the enquiry outstripped the traditional portals 2-to-1 and with much more qualified leads. Dear Nick, thank-you very much for the exposure your website gave us when marketing the property at 7 Gladstone Street, Kew - your website produced the buyer and the majority of the internet enquiry throughout the campaign. We would not hesitate to use your website again in the future. After trialing a property in Ringwood, we received over 40 enquiries over both email and phone during a short 3 week campaign. The buyers were genuine and there were lots of them - I think this is what sets Development Ready apart - we sold the property in Ringwood for a great price to a buyer from Development Ready. We now load all our sites in Melbourne to the site. We had a successful sale for 89 Exeter Rd, Croydon North after it was featured on your site. We are now including Development Ready in the marketing mix for development site listings - it is an excellent, cost effective alternative for developers and builders. Development Ready put me in touch with buyers that I wouldn’t normally come across on other major websites and was influential in a recent sale. Not only does the site yield a higher number of enquiries, it also yields a more qualified buyer. I would highly recommend any agent or vendor with a permit-approved site to utilise developmentready.com.au — hands down, the best site to find genuine developers in Melbourne. Development Ready has really stepped up their game in the Sydney market over the past year, as we have seen a massive increase in both the quantity and quality of enquiries in our most recent campaign listed. Great result, keep it rolling guys! Development Ready has delivered on all fronts! We look forward to utilising the site in the future. We are pleasantly surprised by the immediate response and quality of respondents from developmentready.com.au. "The enquiry has been solid from your website - we won’t have any hesitation in including Development Ready on any marketing schedules moving forward." We had a good level of enquiry and your site was all we used for the campaign - we sold within a few weeks. After hearing the Development Ready advert on SEN radio I asked a vendor to advertise their home on the site. It gave us access to previously unknown buyers to our firm, qualified developer leads, increased traffic flow to our open homes and produced the eventual purchaser for the property. I highly recommend homeowners and agents consider advertising on the development ready site. Development Ready is now included on all our marketing packages for relevant properties. Looks like your business is getting some good exposure! Was quite pleased with the enquiries received from your website.